Hailing from the city of Bruges, Belgium, Larigold aka Maxim Storme was intrigued by music at a very young age. He discovered Jungle and Drum & Bass music in the late 90’s and immediately got inspired by it’s variety and the many influences from different genres. Maxim started djing as Z-NOX back in 2000 and proved himself to be a talented artist who only was at the beginning of his potential. Besides the constant interest in many types of music, it was certain he wanted to concentrate on DnB and started improving his musical skills. The soulful, jazzy, funky grooves always triggered him the most when it came to his own productions. 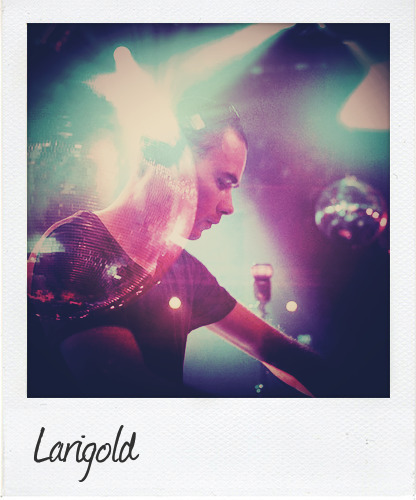 In 2012 he transformed himself into Larigold and became a dedicated and passionate producer on a slow but steady rise, already supported by some of the biggest name’s in the scene. With a bunch of releases on well established labels and a whole lot of ambition this artist is a promising name worth mentioning when it comes to Drum & Bass. So keep an eye out for this guy!